I got the very special chance to work with PARTY TIME TUESDAYS CHALLENGE BLOG and am the months guest designer!! 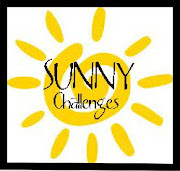 So why don't you head on over to the blog and play for the challenge. The theme is Sparkle,Shimmer and Shine where we have 2 lovely sponsors!! 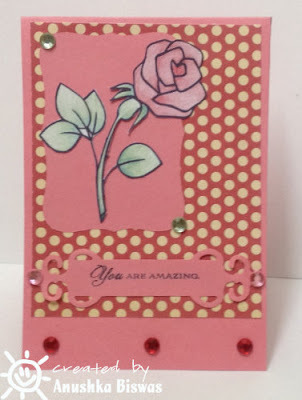 For the card I used a rose from Robyn's Fetish and the sentiment is a PTI stamp. Just wanna check. I've written to you twice for my top 3 badge for the last challenge. As I haven't heard from you I'm thinking its in your spam folder. Could you check and let me know. Thanks a lot! 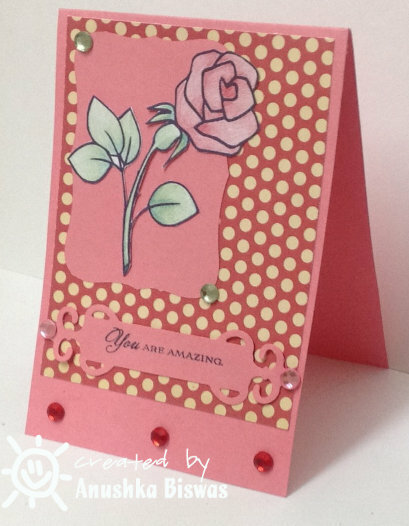 Pretty Rose card. Like the coloring, layout & gem sparkle you used. Found you as Guest Designer on Party Time Tues. I'm a new follower of your blog & entered your challenge. Ck my blog out. I'm a Guest Designer at Twisted Tuesday. oh & Congratz on becoming GD!! Your card is beautiful! Great job with the coloring and I love the bling.